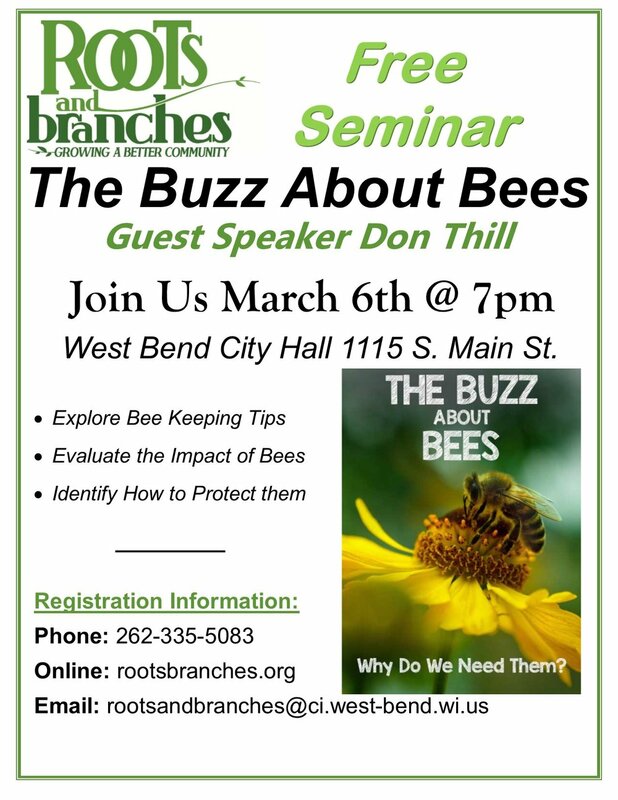 Seminar: "The Buzz About Bees"
Join us for this free event to learn about the importance of bees to the environment and your garden with special guest speaker Don Thill. Don Thill and his family have been bee keeping for generations in West Bend and currently manage 400-500 different bees in four different counties. Don is the Southeastern Wisconsin District President of the Wisconsin Honey Producers Association, President of the Washington/Ozaukee County Bee Association, an avid community bee educator, and award-winning honey producer.